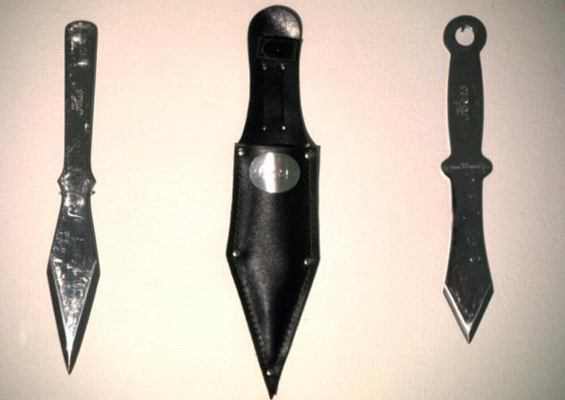 His, Hers, Ours was created from a set of throwing knives once owned by my father, which were among my mother's things after the divorce. I asked for them, they became "mine." I made them into this piece, by getting them engraved. My parents were back together again, after one year. It wasn't a terribly messy divorce, but there was some strangeness about the division of property.